Beaver Creek is home to the White River First Nation and a population of roughly 100 people. 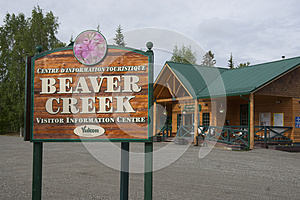 Known for being Canada’s most westerly community, Beaver Creek is located along the Alaska Highway about 300km northwest of Haines Junction next to the Canada-U.S. border. 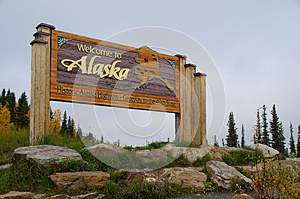 Its location makes it a natural stopping point for travelers using the Alaska Highway to get to or from Alaska. 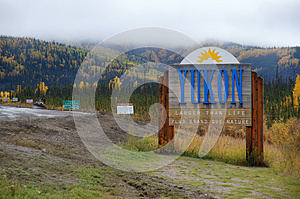 It is located just 22 kilometres south of the Yukon-Alaska border on the Alaska Highway and 3.5 kilometres from the Canada Customs and Immigration station northwest of town. The small community is situated where its namesake, Beaver Creek, crosses the highway. 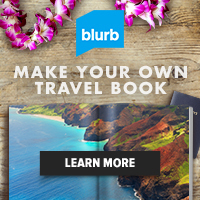 It was founded in 1955, primarily as a service community for the highway. 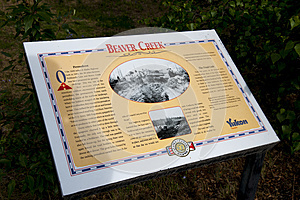 Until 1902 the Beaver Creek waterway was known as Snag Creek. At that time the upper part of the creek was renamed Beaver Creek, while the lower portion remained Snag Creek. 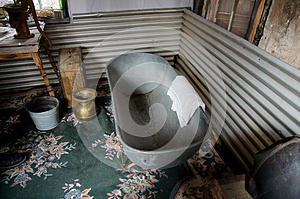 Gold prospecting started in the Beaver Creek area in 1904 and continues today. 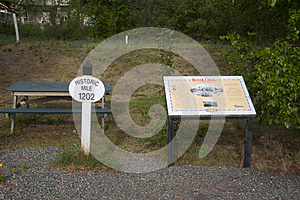 The closest the area ever came to a gold rush, however, was between 1909 and 1914. In 1913, a rich placer gold field was discovered just over the Alaska border on the Chisana ridge by Peter Nelson and William James, who had been mining at Beaver Creek since 1909. 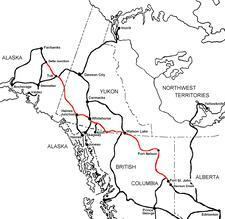 On October 28, 1942, the southern and northern crews building the Alaska Highway met here. U.S. Army 18th Engineers’ Corporal Refines Sim Jr. of Philadelphia and 97th Engineers’ Private Alfred Jalufka of Kennedy, Texas were operating the two bulldozers that came blade to blade to complete the highway. Beaver Creek’s population swells all the way to 200 in the summer months although they do have a year-round population of 100. Canada Customs and Immigration is just north of town and is open 24 hours and all traffic entering Canada from Alaska must stop for clearance. 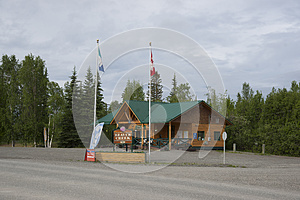 U.S. Customs and immigration is located 32 km/20 miles north of Beaver Creek on the Alaska Highway. In Beaver Creek you’ll find a range or services and amenities, including accommodation, restaurants, and a Yukon Visitor Information Centre. DC 1168.5 Canadian Customs Beaver Creek station. 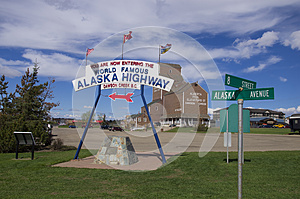 Visitors Center: In 2013 I was invited by a local First Nation Individual to tour his private Alaska Highway Museum. 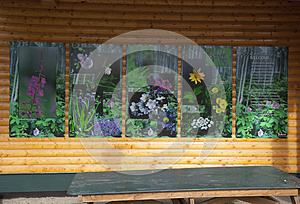 He has a collection of over 1000 artifactes from the construction of the highway. He gathered many items as they took them apart and discarded them in the trash. The only true all highway artifact museum on the highway.